One thing that characterizes our society right now is the high speed, because we usually need to go very fast with our cars in order to commute or just arrive in time to a date. Either way, fast speed is essential, but the radars placed inside or outside the city might hamper the driving experience, which means that you need to find a way to counter them. The solution comes in the form of one of our RadarShield radar detection units. But is a radar detector a great investment? The major benefit that comes from a radar detector is that you will be able to find out when there’s a radar in the vicinity, all so you that adjust your speed accordingly and thus the law problems will disappear. There are situations in which you just forget to look at the speed and because of that you might have to face charges. Thankfully, the radar detector will inform you when you surpassed a specific limit, so you can stay safe on the road. If you don’t stand the sounds made by an alerting device, then the radar detector can provide you with a great way to avoid disturbances while still knowing what happens on the road. High speeds usually create accidents, but thankfully with the help of a radar detection unit you will be able to slow down. This happens because the driver actually gets aware of the population density thanks to this type of device. Of course, a major benefit comes from the fact that a radar detector is a great way to save money. You don’t have to deal with fines or any other charges like these, instead you can use those money in any of your projects! Aside from saving money, with such a unit you also save time because you will avoid overspeeding and thus the police won’t stop you while on the road. It’s an amazing thing for sure since you always get to arrive on time wherever you want. 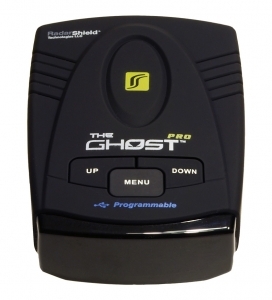 The radar detector can be carried around and this brings in a great portability. You can easily install it in any car and remove it just as easily if needed. If you want a better way to visually track your speed, then a good radar detector is all you do need. Just get a radar detection unit and you are good to go! In conclusion, investing in a radar detector is a very good idea. Not only you manage to save money and time, but you won’t have to deal with complicated installation options. At the same time, such a device is very easy to use as well, which makes the experience even better. All in all, if you want to improve your driving habits then getting a RadarShield radar detector is a very good idea, so don’t hesitate and acquire your own unit right now, you will not regret it!